Lately, most of the music we are seeing showcased on bigger platforms has gotten stale. At least for me it has. Though, sometimes there is an artists that shows up & breaks down all of those feelings. These artists come around once in a generation for most of us, but if you choose to pay more attention to the greatness of some of the up-and-comers, you’ll see that there is much more depth in the direction music is headed than there has been in a long time. If you like artists such as Amy Winehouse, Billie Holiday, Nina Simone, even the current dominance of Adele… then it is time to wake up & get familiar with Andra Day. To say I am slightly obsessed is a total understatement. Andra Day is one of those singers that can hit every point. I struggle to find the right words to describe just how magical the presence of Andra Day is. You may have caught her performance at this year’s Grammy Awards–in which she received 2 nominations from her debut record Cheers to the Fall. You may know her from some of her viral covers on YouTube. All of which are incredible; some more so than the original songs!.. One her debut album, Cheers to the Fall, there is something for everyone. Here is a confident & stylish record that ushers in a vocalist with the utmost sophistication. One who remains faithfully true to past influences while staying completely fresh & relevant. Cheers to the Fall is full of emotionally thought-out lyrics & impressive composition with musical depth. Lyrically, Andra is able to write a story that not only holds a truth to herself, but can be applied to an array of personal truth to the listener. When an artist can successfully paint a picture that is interpreted in many different ways from their own, that is the mark of a truly talented artist. A well-versed phenomenon, when Andra takes the stage there is no denying that this woman has something incomparable in today’s over-saturated music industry. I’ve spent hours listening to her studio cuts on YouTube, & just about as much time on her clever re-workings & mash-ups of classic hit songs. The way she can blend Hip-Hop with Jazz & Soul is a beautiful display of musical diversity. Andra Day will be making a stop here in Montréal at Corona Theatre on March 18. I highly suggest that you go spend sometime listening to what this beautiful creature is capable of. A big thank you to the folks at evenko & Greenland Productions for making this happen! The first show of 2016 I am so excited to be at. Get your tickets now, before they sell out. 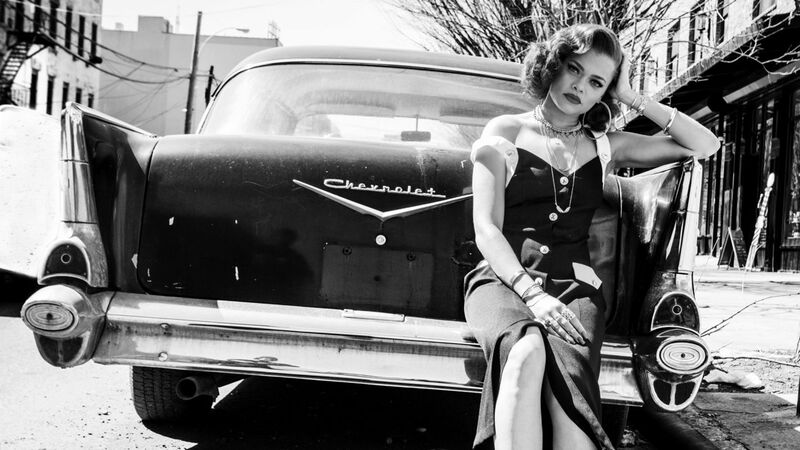 Andra Day will also be doing meet & greets with a VIP upgrade, available on her website. BandMark will be in the house. For all those poor souls who will miss this event, stick with us for show coverage later this Month! Go buy Cheer to the Fall, right now!